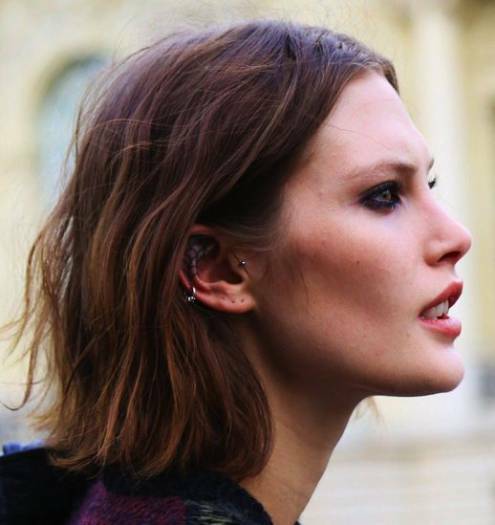 Have you been contemplating on getting a cartilage piercing? 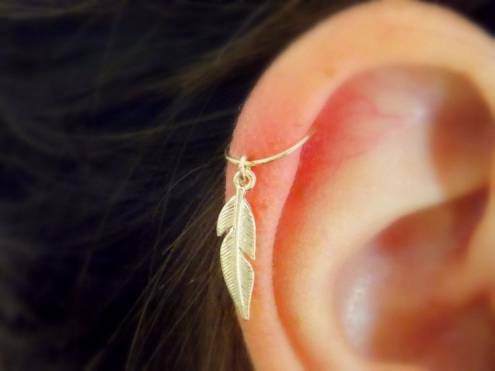 Getting your ear pierced is an easy process but there are many things to consider before getting one. Knowing more about cartilage piercing is necessary to ensure you know what to expect before, during and after the procedure. This guide should help you overcome your fear and prejudices about the process. 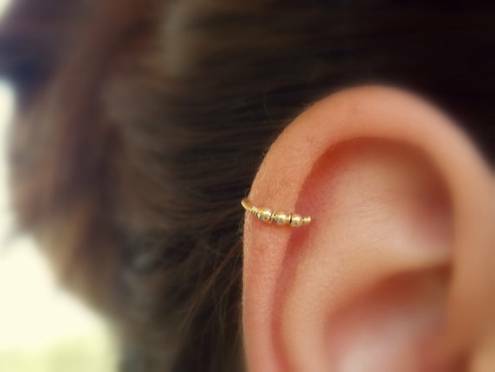 Cartilage piercing is commonly placed outside the rim of the ear. 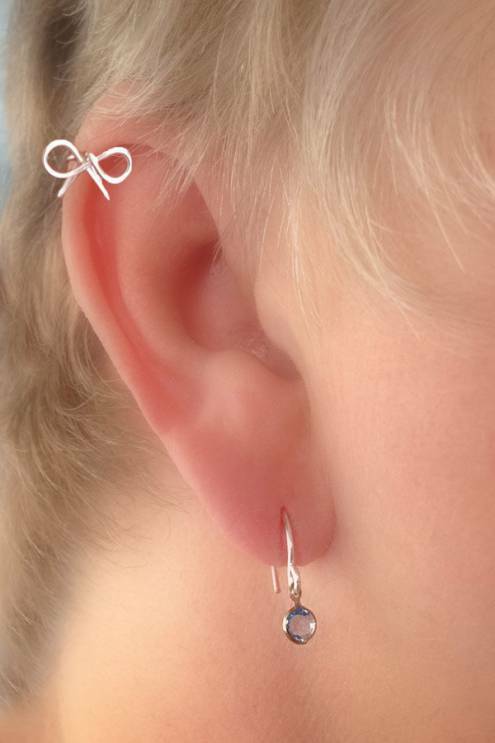 It is one of the ear piercings that can be easily placed without too much trouble and issues. Before any procedure is done, it is important that you choose an experienced piercer. You will be asked to choose your choice of jewelry. 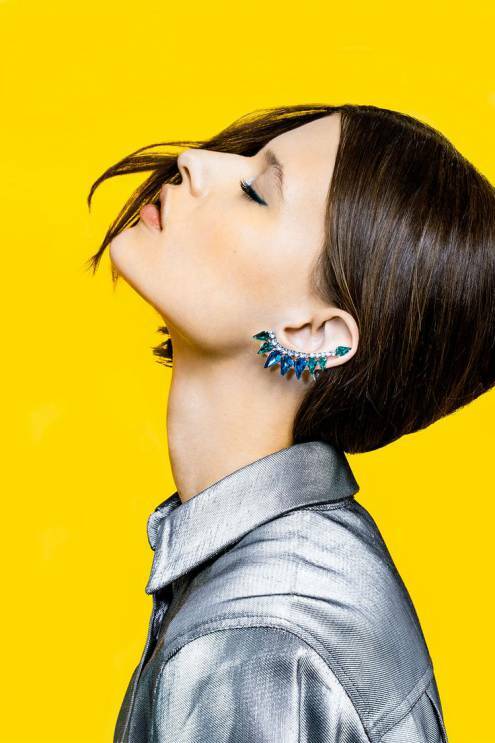 We recommend earrings that range from 16mm to 20 mm. Then, the piercer will mark the area in your ear cartilage and will let you see the dot mark in the mirror. After that is the actual piercing where the piercer will clamp your ear in place and use a hollow needle to create the hole in your ear. Next, the piercer will insert the needle halfway to your ear and thread the jewelry in place. Voila, the piercing process is done. 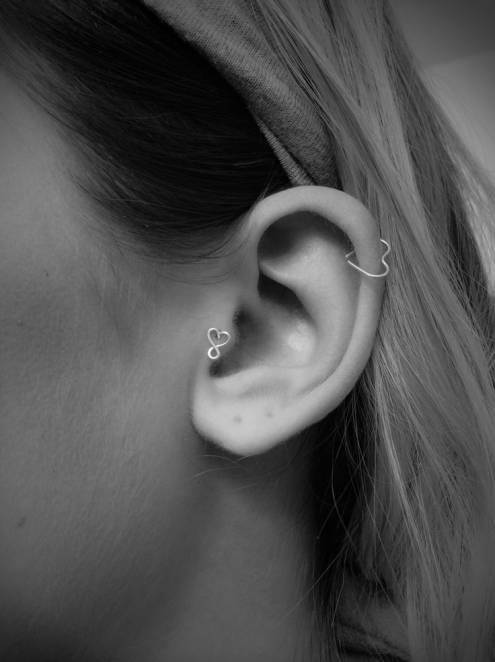 For you to have an idea for your jewelry, below are cartilage piercing inspirations and jewelry. 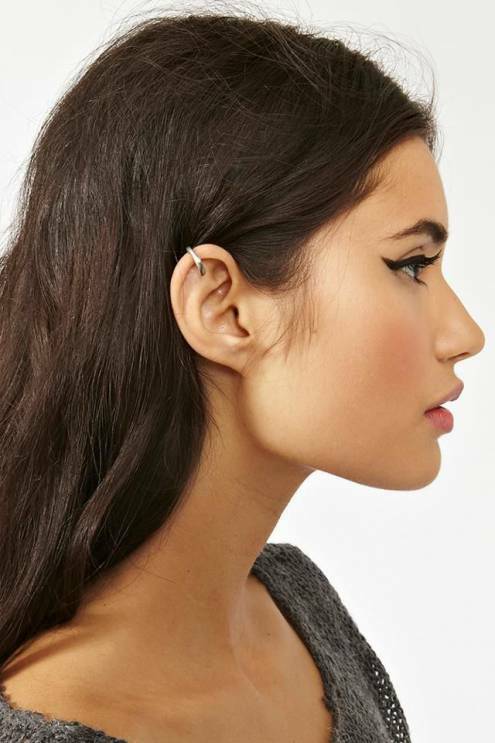 Cartilage piercing may be around $30 to $50. The price may vary from shop to shop. 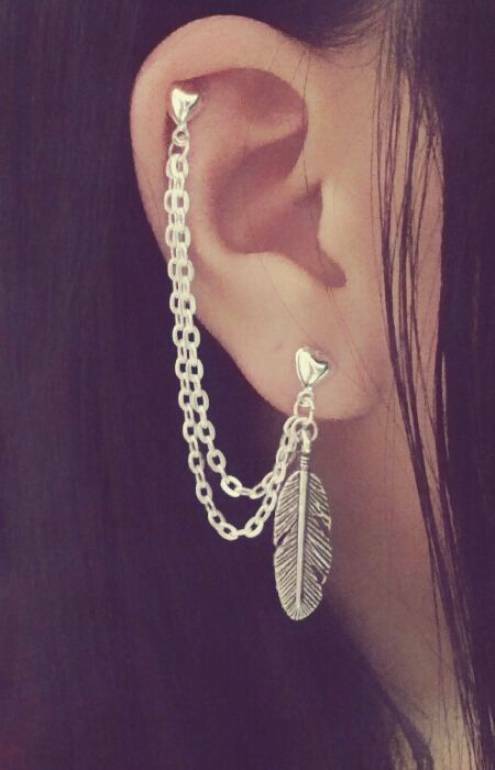 Things to consider are the reputation of the shop, the experience of the piercer and the type of earring you will use. 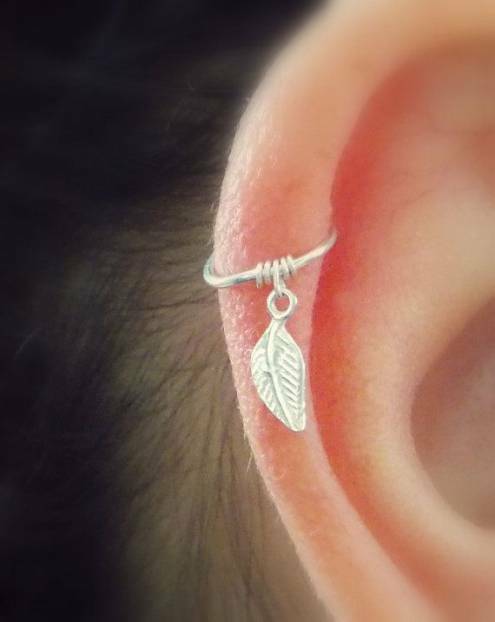 Some piercing shops offer to pierce using your own earring. 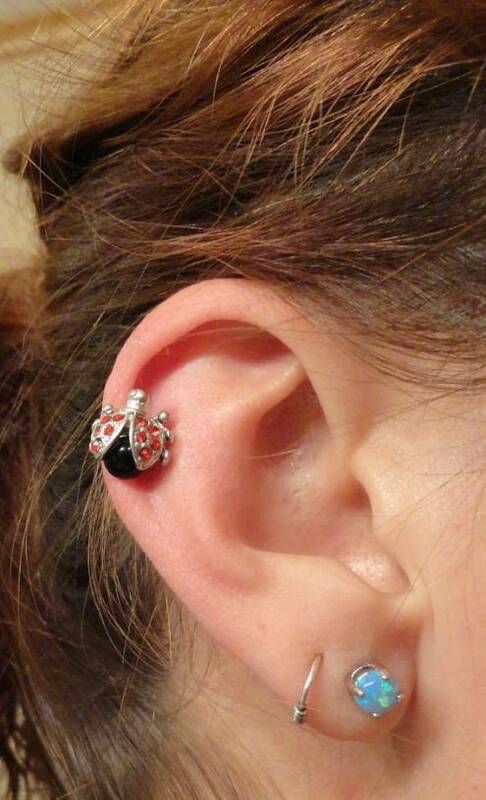 The most common jewelry used in cartilage piercing are barbels, bead rings, and studs. If you want to use a barbell, it is better to get barbels that are internally threaded. Barbells are more expensive than bead rings. 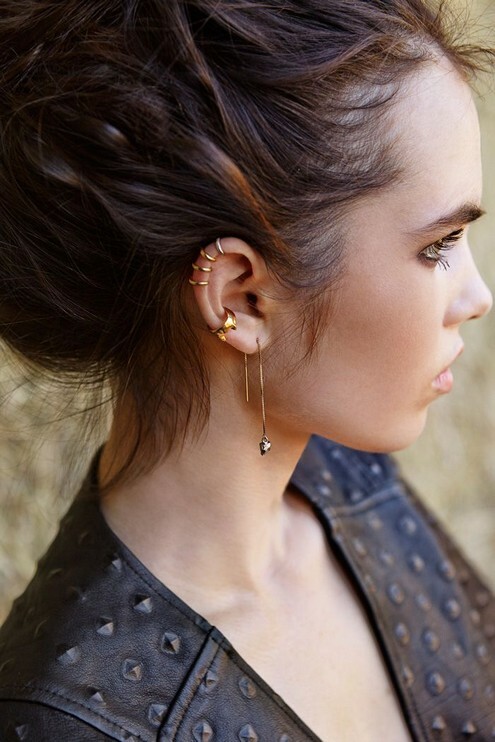 Generally, studs are the perfect jewelry to try out. Although, curved bars may also be used for lesser risk of migration. Every person has their own pain tolerance so it would be harder to specify, however, in general, cartilage piercings are not that painful. The pain generally would be experienced while the ear is being punctured and a bit later. The sensation felt while the needle is inserted to the cartilage is comparable to a dull pinch. The hurting sensation after the piercing would hurt but not that much. This would only be experienced in the first two weeks. It should disappear gradually as the days pass. There are cases where the piercing makes a bit of bleeding but most of the time, it does not. After the piercing, the area would be red and would feel hot. Since there are many types of cartilage piercing, the healing time can vary from three to twelve months. Cartilage piercing does not heal quickly, unlike those piercings which are placed on fleshy parts such as the earlobes. The healing time is usually 3 to 6 months. However, it also depends on each person’s healing process since not all body is the same. Sometimes it is very difficult to determine if it is already healed by just looking at it. This is because cartilage piercing will first heal the external flesh. There is a possibility that the cartilage inside is still healing, however, it is not visible. The best thing that you can do is to keep on cleaning your piercing every day. One thing to remember is that even if your piercing already looks perfect after two months, it is still not healed. It is important to continue this aftercare for cartilage piercings routines continuously. In the first three days, sanitize the pierced area twice a day, in the morning and at night. Use a warm water or saline water to clean it. When done bathing, never forget to rinse the ear with running water to remove soap, conditioner or any cleaning product residue. Always use a clean towel to dry out the area. In the next four weeks, you can clean the piercing once a day following the first three steps. Avoid using alcohol, betadine or hydrogen peroxide in cleaning. If rejection happens, consult a doctor. This kit is composed of “The Wash” Sterile Saline Spray, Gauge Gear Stretching Balm, and “The Blend” Daily Oil Skin Conditioning Mix. First, you will use the saline spray and make sure that it reaches deep into your cartilage piercing area. Use the Daily Oil Skin Conditioning Mix outside of your piercing. It could be anywhere wherein the skin is stretched so as to keep it neat and hydrated. Also, it can soothe any irritation caused by the stretching process. 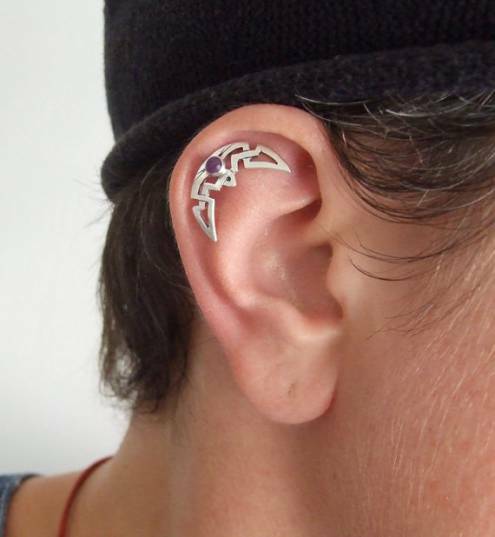 Once your piercing has healed, you can use the Stretching Balm in keeping the area healthy. We recommend this First Aid Wound Wash for wound treatment after cleansing. It’s made with the different powerful combination of herbs and oils blended together for speed healing. 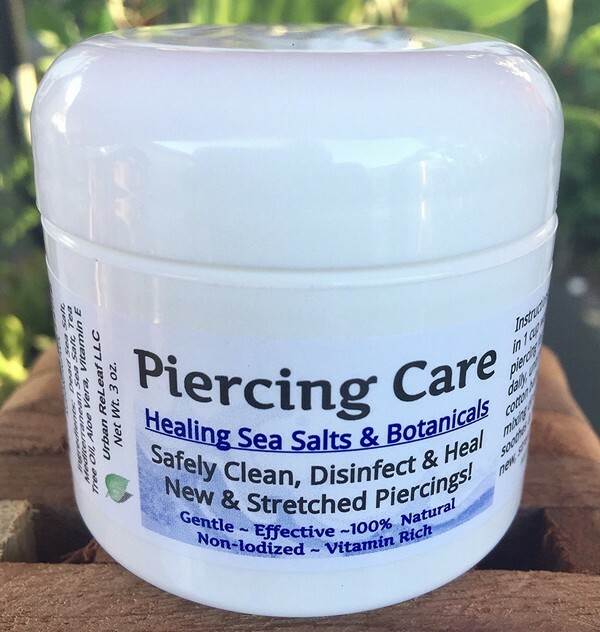 This medicated sea salt soak is the perfect treatment for new and stretched double cartilage piercing. Piercing Care is made of 100% natural ingredients. It’s very effective and gentle on your skin. Since this is a concentrated product then a little goes a long way! It can make 45 cups of healing salt water. It’s quite a lot of aftercare. Can quickly heal your piercing. Safely cleans and disinfects your piercing. To use this solution, just soak a cotton ball and hold it in your piercing for 5 minutes. 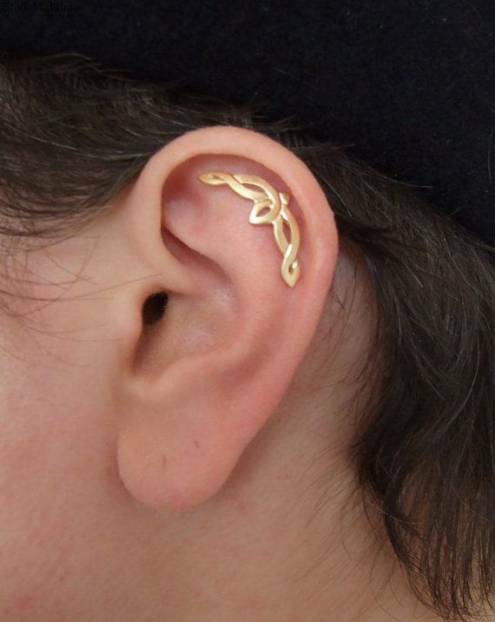 Do this ear cartilage aftercare twice a day, once in the morning and once in the evening. Can effectively destroy any bacteria from your piercing. Cleans and disinfects your cartilage piercing. Quickly heals new and stretched piercings! 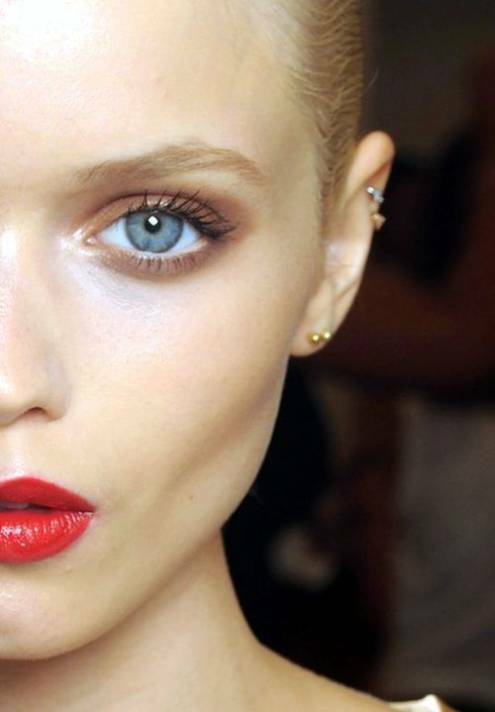 By following these aftercare tips for cartilage piercing, you can expect it to heal faster. Avoid touching your piercing at all times. Before cleaning your piercing or handling your jewelry, you should wash your hands first. Never sleep on your piercing. Use a saline solution in cleaning your cartilage piercing daily. Cartilage piercing aftercare swimming should not be done right away. You should not pick at any formed crust. 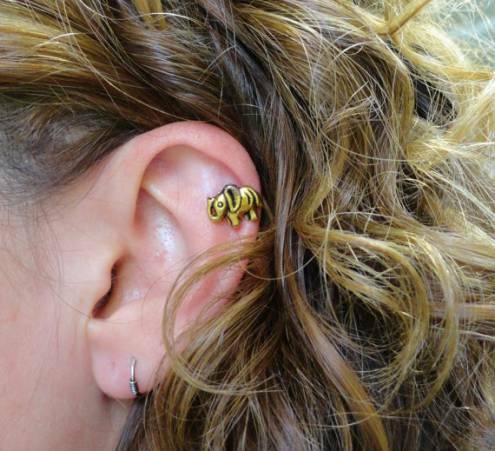 Cartilage piercing aftercare twisting is not advisable. Conquering your fear with the piercing process myths can only be done if you are aware of the real expectations. 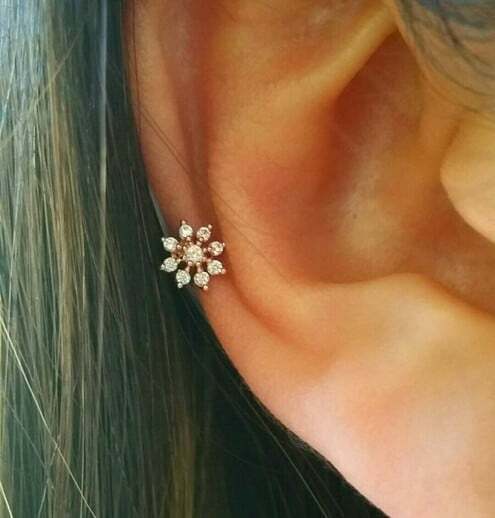 Go ahead and get your ears pierced. Enjoy a wonderful change and new look with safety and proper sanitation. 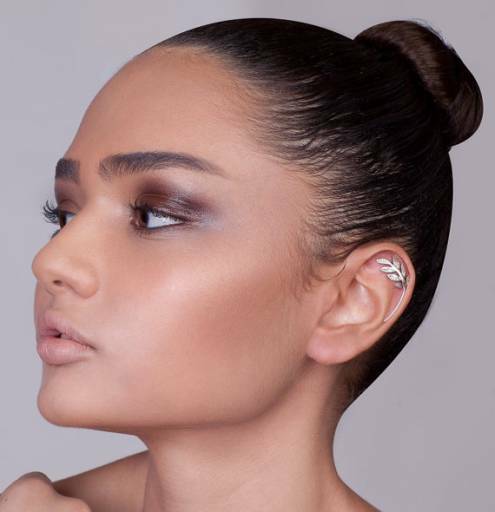 If you want to learn more about cartilage piercing, check out other types of it at Awesome Helix Piercing Jewelry Inspirations, Inner & Outer Conch Piercing Inspirational Examples, and Unique Tragus Piercing Examples with Tragus Info Guide.